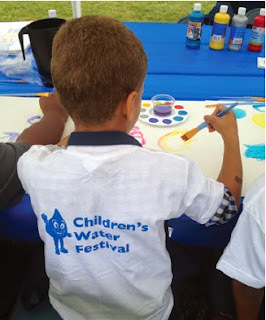 The District of Columbia Water and Sewer Authority (DC Water) is partnering with John Burroughs Education Campus, a Ward 5 STEM school, to co-host the agency's fourth annual Children’s Water Drop Festival. At this free environmental education program, DC Water specialists will provide students with hands-on opportunities to learn about their water supply and environmental challenges. Each year, DC Water hosts the event to educate students on their water resources and increase awareness of the value of this vital life force. WHAT: DC Water will offer a variety of interactive learning stations, exhibits and activities at the Children’s Water Drop Festival. Participating students will explore and learn about their watershed and ways to protect and preserve it.